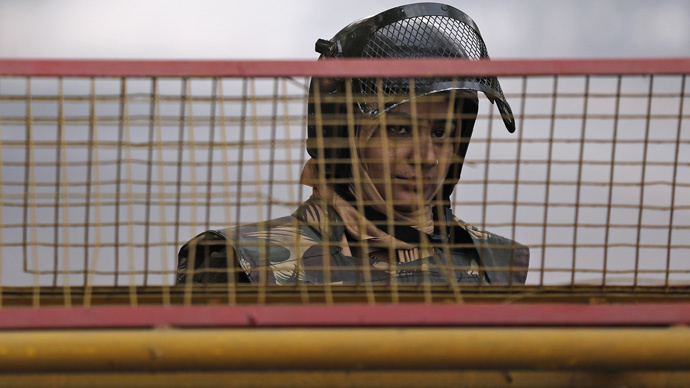 The decision, taken in a cabinet meeting chaired by the Indian Prime Minister Narendra Modi, will see more women being drafted into the police force, although the move will apply to the Delhi. "(The cabinet) today gave its approval for making reservations of 33 percent for women... in direct recruitment in non-gazetted posts... of all union territories, including Delhi," a government statement said, according to AFP. There are seven union territories in India, including Delhi, which are partially or wholly administered by the Indian government, where this legislation will be introduced. The government also hopes the decision will make the Delhi police force more gender sensitive. "It will also instill confidence among women to enable them to approach the police without hesitation for seeking protection and assistance as and when required," the government added. The move to get more women into the Delhi police force will immediately open up the possibility of between 8,000-9,000 women being recruited. There is currently an existing backlog of 26,000-27,000 vacancies in the force, the Times of India reports. The move was welcomed on social media, with many users praising the Indian government’s stance to improve women’s rights. “Big Bold Important step by Narendra Modi Government by introducing 33% reservation for women in Delhi Police. Cabinet gives green signal,” said Aditya Raj Kaul. Big Bold Important step by Narendra Modi Government by introducing 33% reservation for women in Delhi Police. Cabinet gives green signal. "33 percent reservation in police forces for women a good step taken by central government," Devendranath Yadav added on the social platform. The issue of women’s rights in India has been in the headlines since December 2012, when a 23 year-old student was brutally gang raped by a group of Indian men on a bus. The medical student later died from her injuries in hospital. On Wednesday, in India’s financial capital Mumbai, a 20 year-old student Pradnya Mandhare was groped and attacked by a drunk man, who was also reported to be drug addict in broad daylight at Kandivli station. She took things into her own hands and took the man to the police. Mandhare added that even though around 50 people witnessed the incident, not one person offered to help. “People stopped to stare, but no one bothered to even ask what was going on. Since the man was filthy, I found it difficult to even touch him. I caught him by his hair and dragged him to the Government Railway Police,” she said, according to NDTV news. Last December, two Indian sisters in the state of Haryana hit the headlines as they fought back against three men who were harassing them. "They threatened us and abused us. One of them touched my sister inappropriately. They started making obscene gestures,” one of the girls told the Hindustan Times. However, the girls didn’t succumb: they mustered enough courage to thrash the molesters with their hands and belts, trying to push them out of the bus. "Then, I whipped out my belt and thrashed them. They pushed us out of the bus when it slowed down," she said. However, despite their ordeal, not one person on the bus offered any assistance.